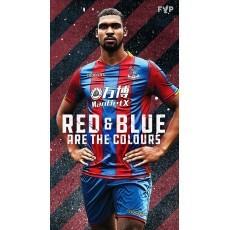 FYP's Fanzine editor Jason Crame has been slaving over a hot laptop this summer, pulling together a crew of great writers to give you something interesting to read after a few months of Palace-less activity! Few expected Maroune Chamakh to make an impact at Palace, but as Patrick Stevens tells us, he did. Neil Carter isn't one to tempt fate, but he wonders if the fourth season really is a curse. There is no getting away from the main rivalry as Richard Foster explains. Jack Pierce tries to put together the pieces of a season that was fragmented by a poor second half and shattered by a late FA Cup defeat to Manchester United. Will there be life after Brexit? Mark Silverstein suggests Palace have a part to play. Robert Sutherland loves a bit of nostalgia but not when it comes to decisions that will shape the future of the club. We may not have seen much of him in the Premier League but Paddy McCarthy is still a legend to Donogh Hurley. Early business in the transfer window has impressed Matt Webb but will more follow? Alistair Laban goes on a kit journey that starts a long way back. Alan Russell takes us through some of the pre-season action.